Have you ever heard that clip clop sound as a horse goes down the road? Sure, a barefoot horse can make that noise but it’s amplified even more when a horse has shoes on. We’ll go into the 7 facts in more detail below. 1. What is a horseshoe? A horseshoe usually is a metallic piece made of iron, aluminum or steel. 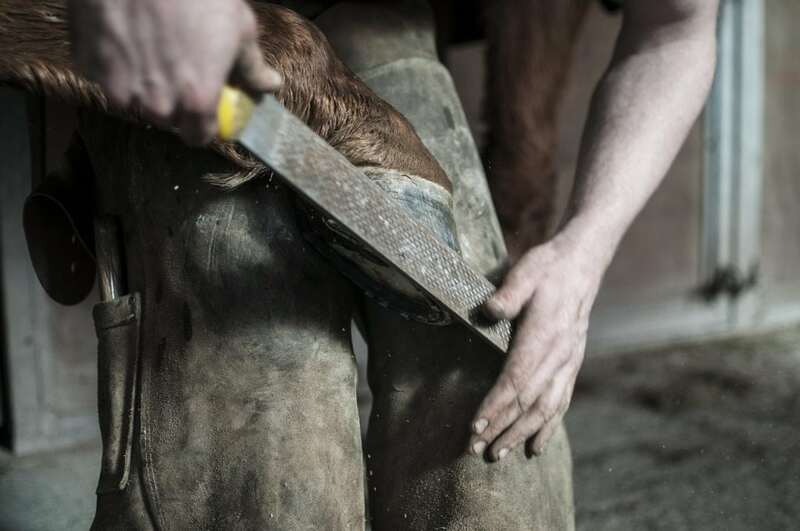 It gets placed to the hoof like a shoe to protect it from damage and gets applied to the hoof wall through nails. Hooves are very much like human nails; instead, these are the thicker version of nails. The horses do not experience any pain to discomfort when being shod. 2. Do Horseshoes Hurt The Horse? The horseshoes usually are nailed directly to the hooves. If you are new to horses and have seen the process of applying and removing them, you may feel that it must be painful to the horse. This cannot be farther from the truth. Applying or removing horseshoes is entirely a painless process for the horse. It is similar to the way we feel when our nails are clipped. The horse hooves have no nerves endings, and when done properly, it should not hurt the horse. That being said, just as when you cut your own nail, if the horse’s hoof is trimmed too short it could make the horse sore. Likewise, if a nail is placed wrong, it could hurt the horse. This is why it is so important to always use a professional farrier to trim and shoe your horse. 3. Why Do Horses Need Horseshoes? Wild mustangs evolved to have naturally hard, tough feet and often do not need shoes. The same is true for a lot of the working breeds. Breeding animals were selected for their longevity and ability to do hours of labor without coming up lame. Some breeds, though, were bred for sport like racing or jumping. In these cases breeding decisions were based on performance and not soundness. If a horse runs fast but has sensitive feet, they put shoes on. If a horse can jump well but has sensitive feet, they put shoes on. In cases like these, high performance animals with foot issues may have been bred and able to pass their weaker feet to their offspring. In hard or rocky terrain horseshoes can be even more important to your horse’s soundness. The horseshoes prevent your horse’s hooves from wearing faster than they can regrow. Horseshoes can help protect hooves or issues caused by injury or conformation issues. They are especially useful for aiding in the treatment of conditions like laminitis and navicular. In addition, they can be used temporarily on a horse that otherwise rides barefoot to treat quarter cracks and low heels. Not all horses need shoes. Depending on the age of the horse, how often they are ridden and the terrain in your area, your horse may just need regular trimming. This is something that you and your farrier should discuss. 4. How Long Will New Horseshoes Last? 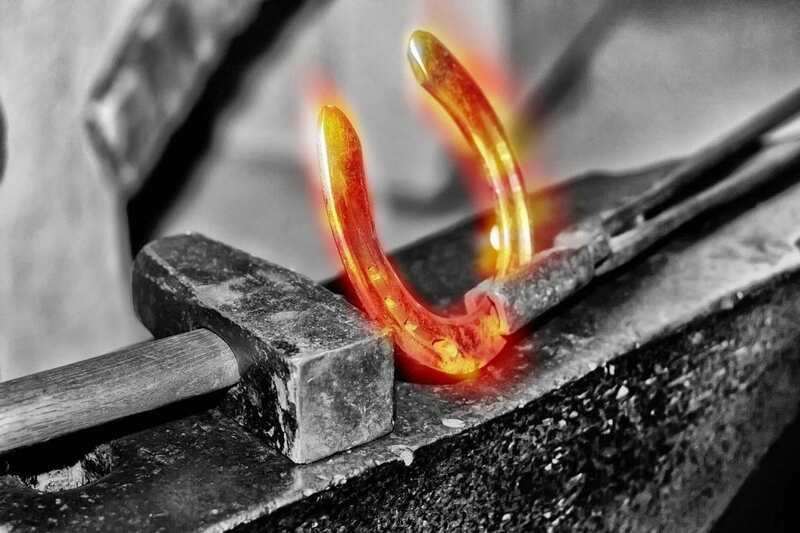 In normal working conditions, the right quality horseshoe will last for a year. You will be surprised to know that a horse grows an entirely new hoof in 1 year. It warrants that shoes get regularly replaced. The horse hoof also shrinks with time and age, so while choosing the shoe make sure that it fits properly. If you are not careful, then it may cause pain to the horse over prolonged use. So, the solution lies in regularly checking else the hooves will suffer damage if the horseshoes get abraded over time. We are sure that you must have got the answer to your doubt if applying horseshoes hurt the horse or not. They are actually for their good and if chosen, used and maintained correctly they save the animal from harm and permanent disability. 5. Why Do Some Horses Have Horseshoe Pads? Horseshoe pads for horses are commonly used for treating horses with thin or sensitive soles. They provide a layer of material, usually rubber, between the horseshoe and the sole of the horses foot. Pads can also be used to provide a bandage of sorts to an issue with the sole of the hoof as well as they are commonly used to increase or adjust the angle of a horses foot, especially for laminitic horses whose bones may have rotated to some degree. 6. What Are Horseshoes Made Out Of? These are just some examples of the types of materials that horseshoes can be made out of. Horse owners around the world want to keep their horses comfortable and do what is right for them. Steel – Most commonly horseshoes are forged out of steel. The average horse walking down the street will usually be wearing metal shoes made out of steel. Aluminium – Aluminum is especially popular for race horses due to their light weight. 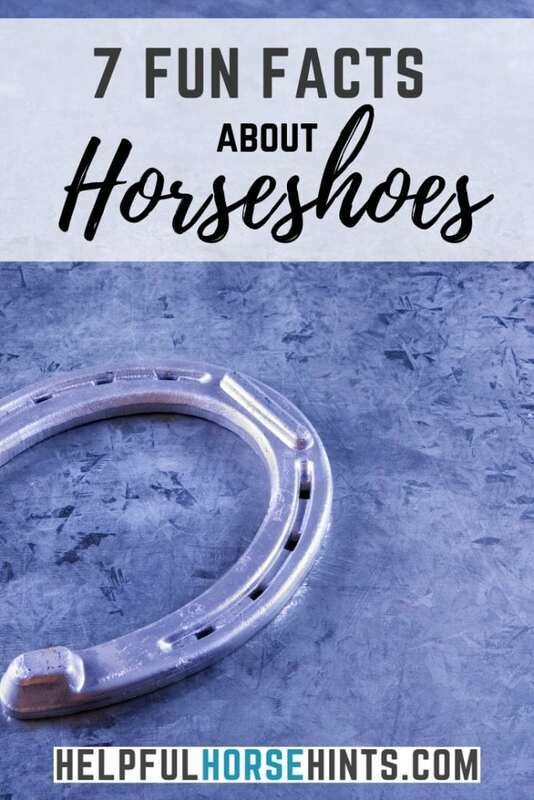 Because horseshoes can be a big help when a horse is unsound, farriers are always looking for the best way to help the horses they are entrusted to care for. That means that farriers will continue to look for and experiment with different materials. Each material may be suited for a different purpose but the end goal is the same: helping the horse. 7. What if the Horseshoe Falls Off? 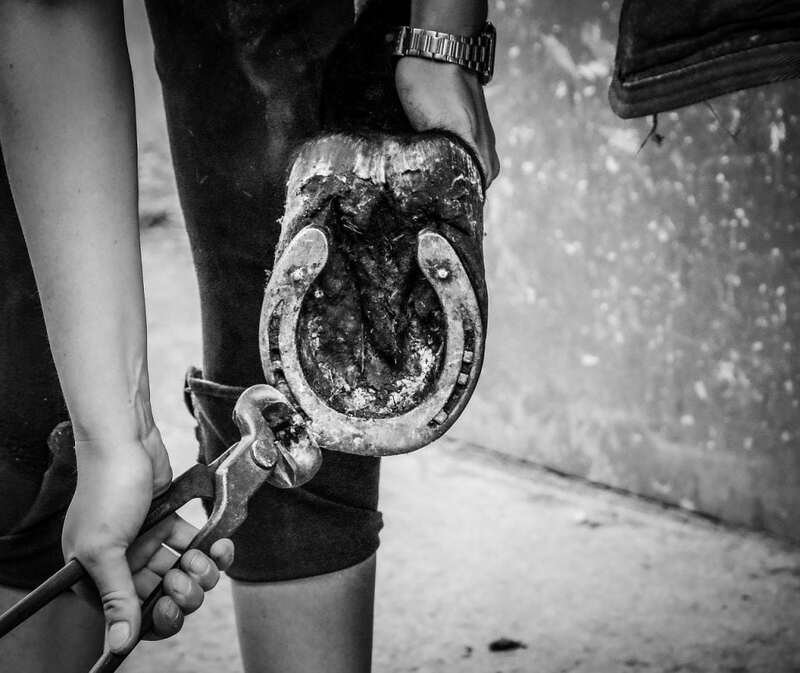 Horseshoes are usually changed every 6 – 8 weeks for the average horse. As a horse walks, the horseshoe begins to wear. Horseshoes left on too long can fall off. In that case, the farrier should be called to put the shoe back on. If it hasn’t been at least 6 weeks, the horseshoe could have come off for a different reason. Its possible the horse caught it on something or overreached and stepped on it. In that case, if possible you should find the shoe and call the farrier. The farrier will see if he can apply the old shoe or if a new shoe is needed. If your horse is consistently pulling shoes, you may need to talk to your farrier about options like bell boots to help keep that from happening. Horseshoes are something that is always associated with horses. They aren’t necessary for any horse but they help horses travel rocky or hard ground. Horseshoes can also help horses recover from injuries. They have to be replaced regularly but that is a normal part of owning a horse.